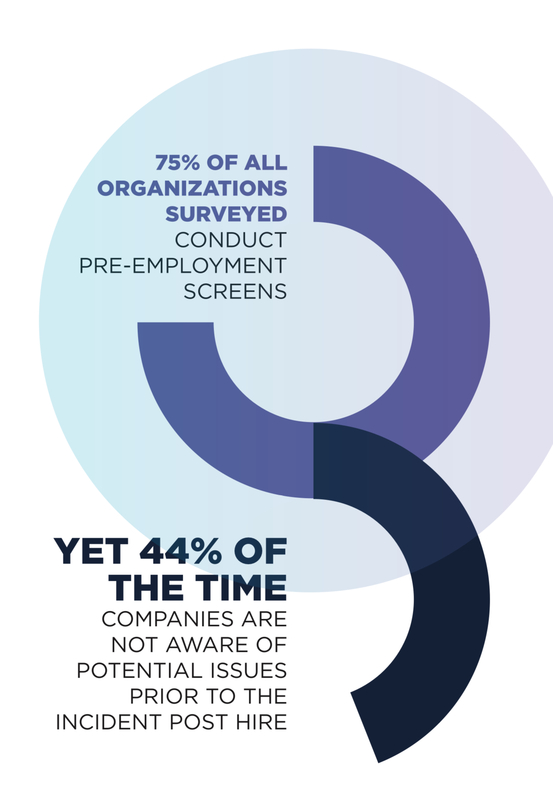 A grimly well-timed survey landed on my desk this week, examining trends in employee background checks and “workplace security incidents.” It underlines the challenge companies face today when trying to perform employee background checks and to reduce the risk of workplace violence. The report comes from Endera, a tech firm that sells software to help companies assess and manage such employee risks. Now, this survey isn’t perfect, because it defines “workplace security incident” broadly — everything from stolen devices, to cybersecurity theft, to physical violence. Those are starkly different types of threat, that require starkly different responses from the company. Still, Endera polled more than 200 security executives, each at firms with 1,000 or more employees. So some of their observations are telling no matter what. Violent employees have been on my mind this week because of two recent incidents in the news. First, we saw five people killed in Aurora, Ill., on Feb. 16, when an employee who was about to be fired from Henry Pratt Co. brought a gun to his manufacturing plant and started shooting. This week, federal authorities charged a Coast Guard lieutenant with plotting to kill Democratic politicians and members of the media. The accused terrorist, Christopher Hasson, 49, used his work computer to research and plot possible attacks. Businesses can’t ignore these threats. So what light does Endera’s survey shed on the problem? First, this issue is getting more difficult to manage. Security executives know what they need to manage the risk of troubled employees and workplace violence: more visibility into employee background and past behavior, and more monitoring of current behavior, even when that behavior happens off the job. The challenge is that companies are using more contractors and freelancers than ever before — an employment arrangement that makes visibility harder to achieve. For example, 87 percent of survey respondents said contractors and freelancers are most likely to be cause of workforce-related security incidents at their company. That’s believable, but what policy and internal control responses will be most effective at reducing that risk? How does your company gain visibility into another company’s employee, working on your premises? You can address some of those questions via carefully worded contracts with staffing vendors or other business partners who might send carbon-based life forms into your corporate campus. For issues around cybersecurity and even device theft, the IT department can help with technology to monitor data flows and physical equipment. Risk of workplace violence, however, is a whole other matter. You’re either dependent on the contractor’s employer performing suitable background checks, or you need to perform them yourself. Plus there’s the headache of finding reliable information, no matter who performs the background check. Consider that the gunman in the Aurora shooting, Gary Martin, had a felony conviction from 1995 that should have barred him from owning a gun. He purchased one in 2014 anyway, and no local police ever confiscated it. Martin also had a long history of violence that didn’t involve firearms. So to reduce the risks of a violent worker like Martin, the company that manages the physical place where he works — which may not be the same company that employs him — must gather all that background data promptly and accurately; and then act upon it. How hard is that? Here are a few more findings from the Endera survey: 55 percent of respondents admit they struggle to limit the number of workforce related incidents; 44 percent are not aware of any potential workforce or personnel issues prior to an incident happening. With so much complexity challenging the effort to gain visibility into employee conduct, you can see why. The Endera survey didn’t touch directly on my next point, but we also have to consider the likes of Christopher Hasson, the Coast Guard officer accused of plotting domestic terror attacks against journalists and Democratic politicians. Call this threat by its name: radical conservative terrorism. It is a genuine threat in the United States, and one big red flag for that risk is outspoken support of President Trump. Because President Trump is deliberately fomenting that extremism. Hasson also had a spreadsheet of journalists and prominent Democratic politicians. Most notable was his listing of “Poca Warren,” clearly a reference to Sen. Elizabeth Warren — whom Trump has nicknamed Pocahontas. 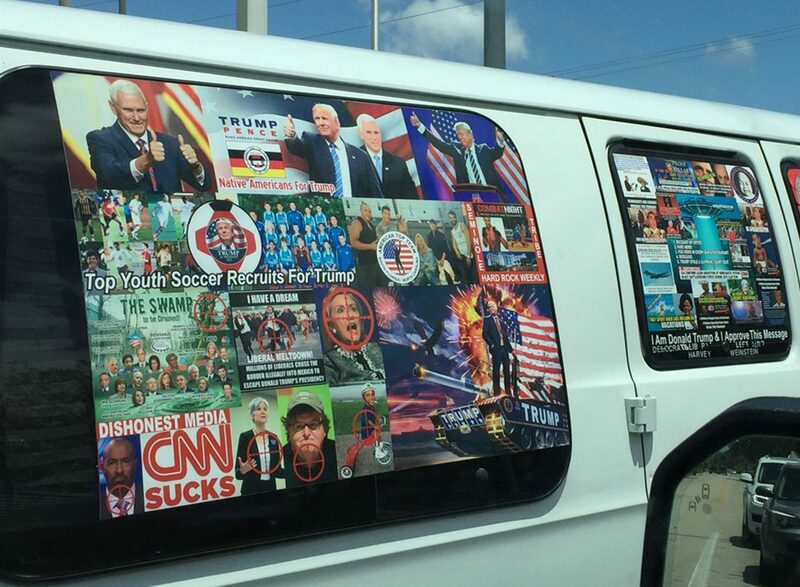 The van of Caesar Sayoc, charged in November with sending bombs to journalists and Democratic politicians. Now, here’s the truth: President Trump is a scared and reckless man, who never expected to be president and has no idea how leadership works. So he spouts preposterous garbage on Twitter to delegitimize every other institution in the country, and that loose talk provokes the nutjobs in this country to embrace violence views against fellow Americans. Everyone knows this. Such people — and Hasson isn’t the only one — are a risk. Companies need police against them as they would any other nutjob with extremist views. The tricky part is this. For any other type of employee misconduct (fraud, bribery, theft, harassment) compliance professionals always say, “Look for the red flags!” Well, the standard red flag for radical conservative terrorism is outspoken support for President Trump. Say that aloud, however, and the complaints come fast and furious from conservatives that they’re being persecuted for their political beliefs. I don’t know what the best answer to that question is. But if we had two cars in the employee parking lot, one covered with bumper stickers for Trump and the other with stickers for Elizabeth Warren — we all know which driver would make us worry more about possible workplace violence.